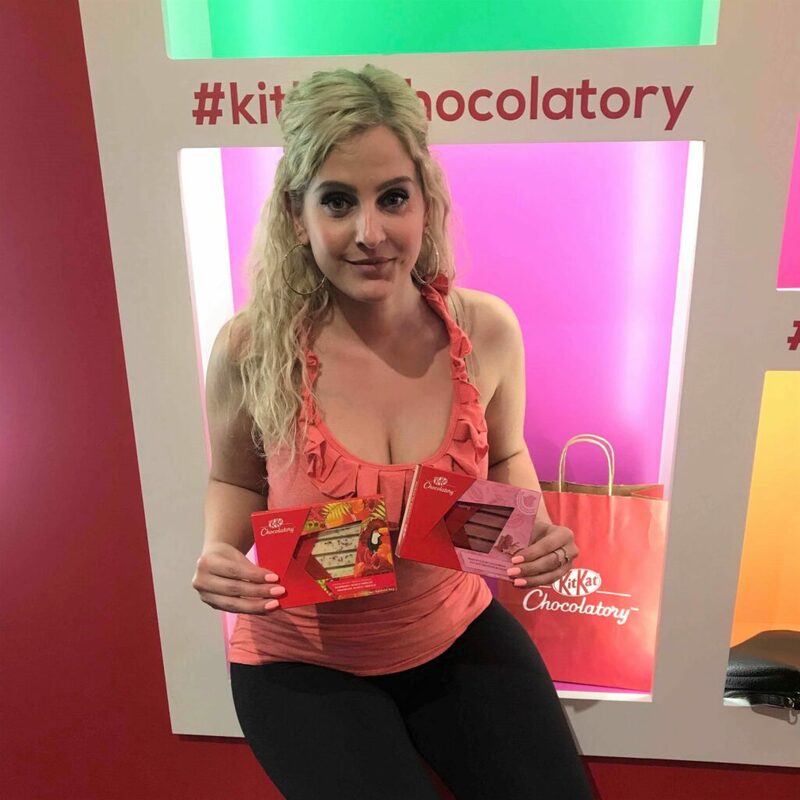 This weekend, while I was trying to find things to do in Toronto with my friends, I stumbled upon the KitKat Chocolatory. It’s a pop-up store where you can create your own flavour of KitKat, or choose to purchase some of their pre-made special edition flavours. We came an hour and a half before closing, and just missed the cut off time to create our own flavours. We still went inside to see what else they had available and was blown away at all the flavour combinations they had available. Their pre-made special edition flavours ranged from Caramel Popcorn & Almond, Espresso, Cookie & Hazlenut, and Raspberry, Rose, & Hibiscus. 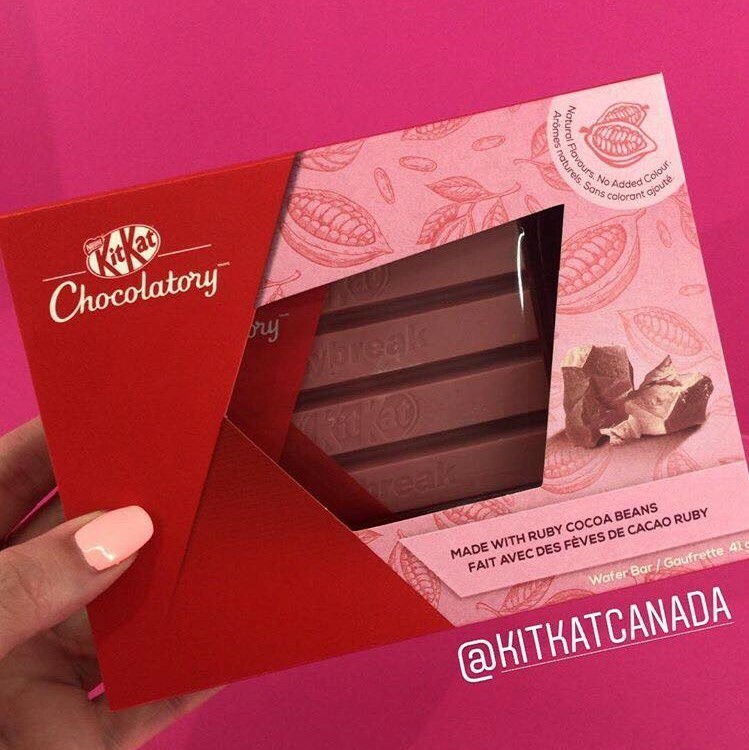 KitKat also released a new bar (Ruby) made from newly discovered Ruby cocoa beans! This chocolate is so interesting because it’s naturally pink coloured and has a fresh berry taste. Since I couldn’t make my own KitKat bar, I decided to pick up a couple of their pre-made bars because I couldn’t leave empty handed. I chose their Raspberry, Rose & Hibiscus kitkat and their Ruby kitkat. 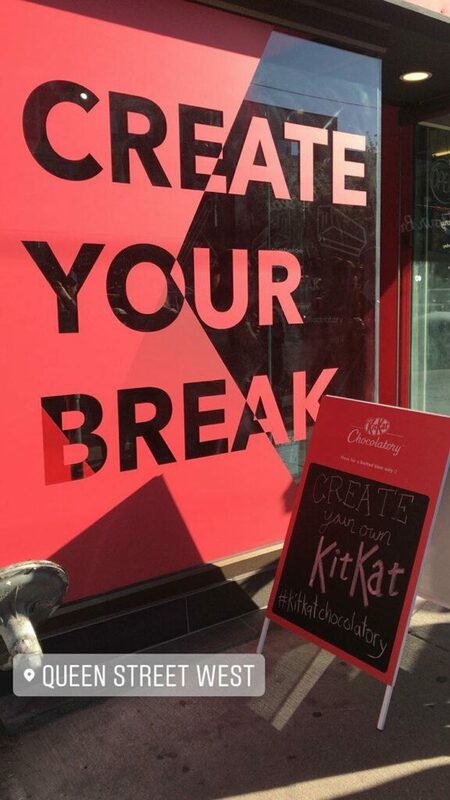 The KitKat Chocolatory is open from June 1- June 28 at 423 Queen Street West, Toronto.